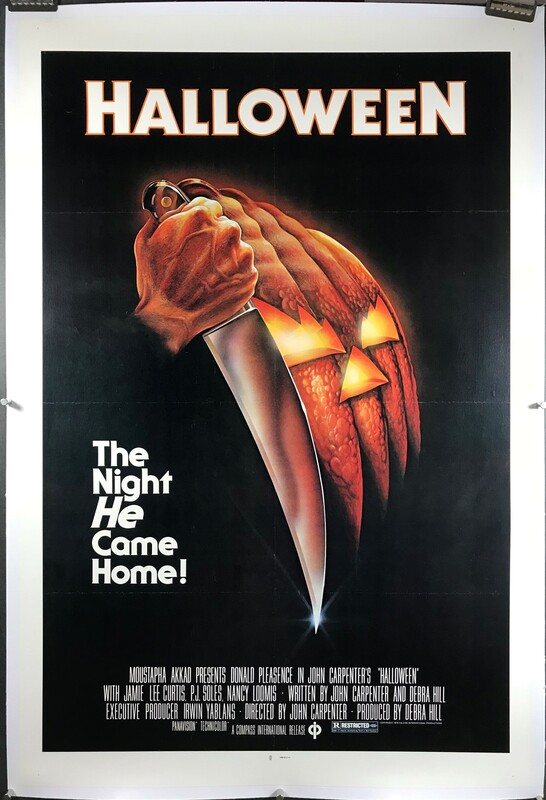 This original Halloween poster is folded and has very slight black patchy color loss along the fold lines. Add linen backing to your basket to resolve this minor issue. There are 3 versions of this poster all with identical artwork but with a different color ratings box. The initial release in 1978 used a blue or green ratings box (some consider blue and green the same color) while later in the print run the ratings box became black. 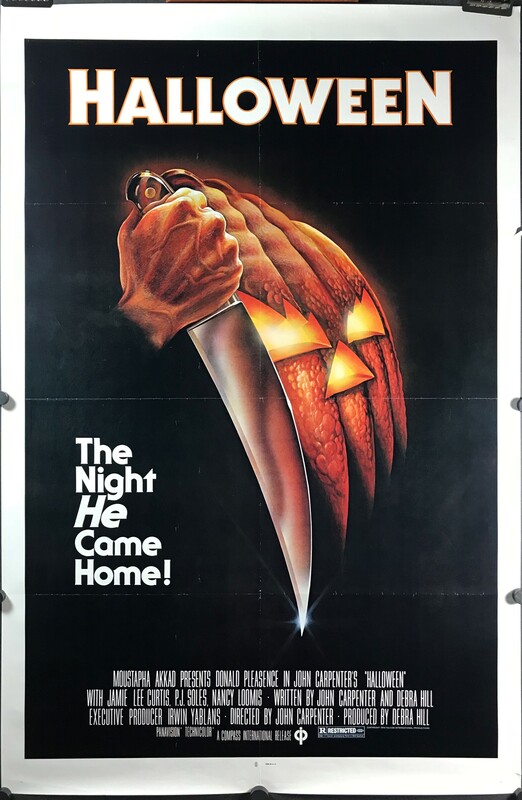 The film was made on a low budget and was not expected to be received so enthusiastically by audiences so the release was extended into 1979 with additional posters being printed with the black ratings box. Both versions are considered to be original releases for this film.